The federal crop insurance program began in 1938 when Congress authorized the Federal Crop Insurance Corporation. The current program, which is administered by the U.S. Department of Agriculture’s Risk Management Agency (RMA), provides producers with risk management tools to address crop yield and/or revenue losses for about 130 crops. The federal farm safety net also includes the farm commodity support programs, which provide price and income support for a much narrower list of “covered and loan commodities” such as corn, wheat, rice, and peanuts. In purchasing a crop insurance policy, a producer growing an insurable crop selects a level of coverage and pays a portion of the premium—or none of it in the case of catastrophic coverage— which increases as the level of coverage rises. The federal government pays the rest of the premium. 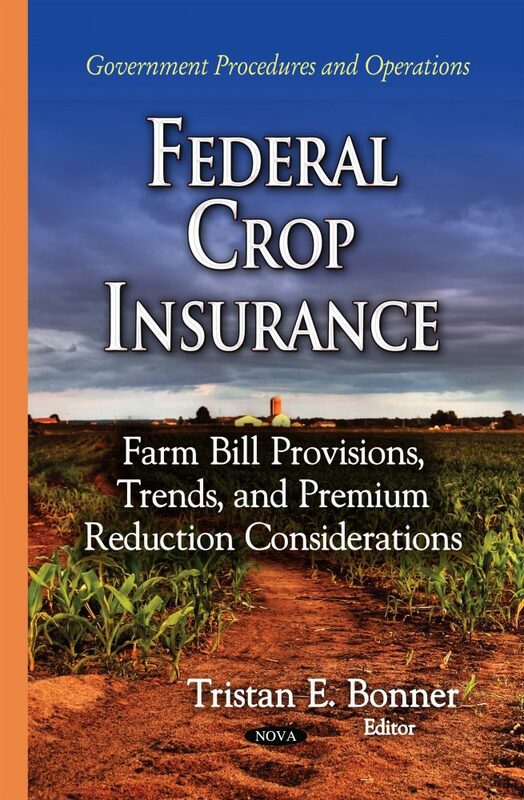 This book provides a primer on the federal crop insurance program and briefly summarizes changes to the program by the 2014 farm bill.